Yeddyurappa was accused of accepting a bribe of around Rs 40 crore in his official capacity. The former chief minister, his two sons, his son-in-law along with JSW Steel and their four Bellary-based affiliates were accused of bribery, forgery and cheating. The court acquitted all the accused. Reacting after the verdict, Yeddyurappa told CNN-News18 that he has been vindicated and the charges leveled against him were politically motivated. "Today's order comes as a relief. I am happy. The politically motivated charges against me have been quashed," Yeddyurappa said adding that he hopes other cases against him will also soon be quashed. There are about six cases against him, this being the most significant of them all. He later tweeted: "Justice is done. I stand vindicated." Yeddyurappa's lawyer, spoke to CNN-News 18 after the verdict and he said that none of the charges could be proved in the court. He, however, maintained that the remedy of appeal in a higher court is available to the CBI and "if it so chooses to do, we will defend it." "This case is significant as it is the only case that went up to trial, all other cases are mostly private complaints that are still in preliminary stages," he added. Yeddyurappa's son Raghavendra, who was a co-accused and also an MP, said that the political conspiracy did not hold ground in the court. 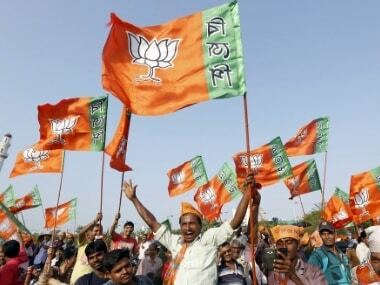 BJP spokesperson GVL Narsimha Rao, speaking to CNN-News18, said that this is a victory for the party who's mass leaders were being targeted by the ruling Congress party. 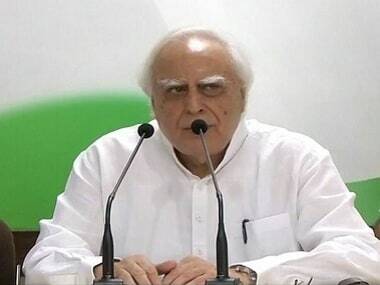 The Congress party, however, hinted at political protection from the central government as the reason behind Yeddyurappa's acquittal. Congress leader Dinesh Gundurao told CNN-News18, "The case is a very plain one. The money came from a mining company in the state. Nobody deposits that big an amount in someone's account for no reason." He also said that since Yeddyurappa is the state party president, the BJP government will have left no stone unturned to protect him. Yeddyurappa has always maintained that the bribe allegation was false and the amount paid was a voluntary donation to his family trust. They were charged under IPC sections, including 120-B (conspiracy) and 420 (cheating) as also under provisions of the Prevention of Corruption Act, 1988 and Karnataka Land (Restriction on) Transfer Act. This can be seen as an important victory for the BJP and its state president ahead of the 2018 Karnataka state elections, as Yeddyurappa is largely seen as the face of the party in the state. The case cost the former chief minister his job in 2011 after the Lokayukta report on illegal mining indicted him, following which a spate of corruption and land denotification cases were filed against him.